Each year, we celebrate an explosion of glittering creative talents for the Wallpaper* Design Awards. What follows is a visual feast of the hottest design, architecture and fashion high-fliers for 2018, from see-through seating to wellness labs and chocolate faucets. 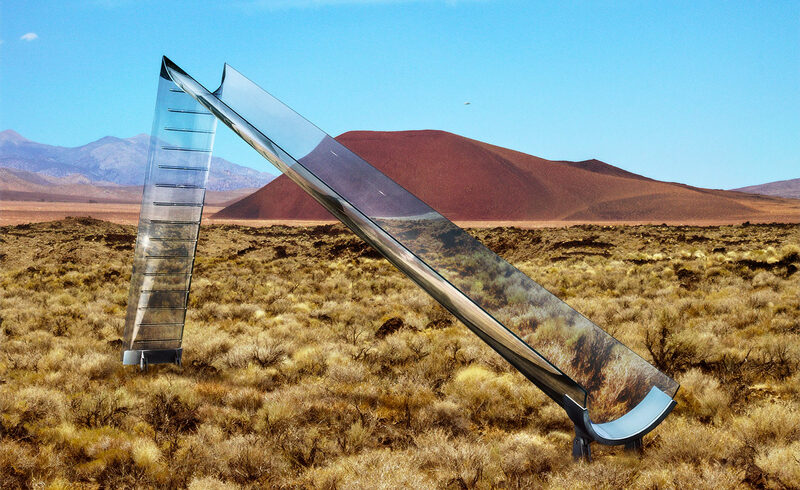 This striking glass slide pushes the boundaries of playground aesthetics. Created by James O’Callaghan and Lisa Rammig of London-based engineering firm Eckersley O'Callaghan and Spanish curved glass specialist Cricursa, the one-off features a 4m stairway seamlessly connected to a 9m-long glass half-tube, supported at the base by a steel structure and kept in place by adhesive bonds, with no need for mechanical fixings. Called ‘Vidre’ (Catalan for glass), the slide offers a playful insight into the collaborative approach of engineers and fabricators, testing the practical application of emerging glass technologies to create the structures of tomorrow. Pictured: the ‘Vidre’ slide consists of two long glass elements, propped against each other and held together at their base by a steel structure. The glass treads are bonded to the curved glass surface using transparent structural silicone adhesive.